Teamwork!! Defined as the combined effort of a group of people, especially when effective and efficient. It is our Core Value number 3 at Evolution Fitness! This year there are opportunities for our members and nonmembers to join Evolution Fitness in competitions where as a team, we will work together to accomplish a common goal. The first opportunity for teamwork this year is upon us! Teams have been assembled and are still forming for our NewYear NewYou Body Transformation Challenge. There is still a few spots remaining in Wave two, so don’t hesitate & register today! During our NewYear NewYou Body Transformation Challenge, teams of 3 will be competing for six-weeks to lose body fat. The challenge consists of unlimited Group Fitness Classes, Bio-Specific Nutrition consultations, an informational shopping trip & tour of Mom’s Organics, support through an Exclusive Facebook Group and personal performance monitoring. Throughout the 6 weeks, they will work as a team by encouraging and supporting one another. In the end, they will have transformed their bodies, their fitness & nutritional lifestyles and if they lose the most body fat as a team, they will win a Cash Prize! For more information, click the NewYear NewYou logo. Our next Team EvoFit event this year will be Goliathon on June 3rd. Goliathon will put your strength and conditioning to the test. It’s a 4-mile obstacle run held at the Gloucester County Fairgrounds. There are 3 tiers of difficulty for each obstacle earning you wristbands worth different points. Even if this is your first obstacle event you will have an opportunity to be successful. At the end of the race, the points are added up and the top 3 males & top 3 females from each team are recorded. This determines the team winner. In October, Team EvoFit, competed in their first Goliathon and placed 23rd and most of our team were first time Obstacle Course Race participants! We can’t wait for the next race June 3rd, join our team! Proceeds from the event go to a non-profit organization called charity:water. For more information about charity:water, click their logo. We are currently, forming a team, so join us before the next registration fee increase. Our Warrior Quest classes on Monday and Thursday nights and Saturday morning will get you ready for the obstacles. The classes are fun and team oriented. The instructors will give you careful guidance on how to run, jump, climb and fall. Join our team now by clicking on the Goliathon logo above. Once there, choose “Join an Existing Team” the in the drop down menu find our team “Evolution Fitness Now”. Complete and submit the form then start preparing for your run. If obstacle course runs are not to your liking, then the next event coming may be of interest. Saturday, July 29th, marks the return of the Cooper River Dragon Boat Festival. A true team event! A team of 20 paddlers and a drummer sprint in unison to the finish line. 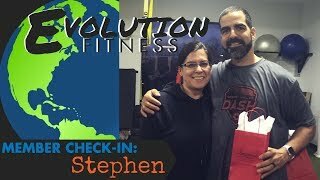 In 2015, the team formed through Evolution Fitness took first place in the Community Division and went home with Gold Medals to show their family and friends! Most of Team EvoFit Dragons were first time paddlers! Please click the festival logo for more information. The cost per person for this event is $70.00. This includes your team shirt, one on the water practice, race registration, food and fun. The proceeds from this year’s festival will benefit the River Sirens Dragon Boat Team, the River Sisters Breast Cancer Survivor Dragon Boat Team and Urban Promise, a 501c3 non-profit. Urban Promise’s mission is to equip Camden, New Jersey, children and young adults with the skills necessary for academic achievement, life management, spiritual growth and leadership. For more information on Urban Promise, click their logo. Please contact Coach Maureen at maureen@evolutionfitnessnow.com if you are interested in joining the team. A sign-up sheet will be available at the front desk of EvoFit as well. Check out the video below from the festival in 2015 when Team EvoFit won the Gold! Get motivated this year to raise your fitness lifestyle game by committing to and joining a team! You’ll be glad you did! !